The Partnership for Native Children strongly disagrees with and is disturbed by Judge O’Connor’s decision in Brackeen v. Zinke which has stricken down the Indian Child Welfare Act (ICWA) four decades after it was enacted. This is the first decision of its kind, and is an outlier—out of step with the law and decades of constitutional jurisprudence. 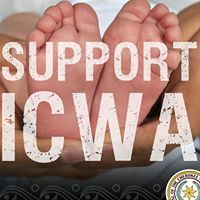 With the support and guidance of a longstanding coalition of anti-ICWA activists, the plantiffs in Brackeen want to remove ICWA’s provisions that protect against removing Native children from their parents and culture, leaving unfettered access to Native children. Not content with that outcome, they wish to undermine the U.S. Constitution and centuries of established law by eradicating tribes’ Constitutionally-protected relationship with the United States government. Although this decision is limited in application, it serves as a roadmap for other ICWA litigation intending to overturn ICWA and we should expect future litigation seeking to undermine tribal sovereignty and federal Indian law writ large. Emboldened by the Adoptive Couple v. Baby Girl decision in 2013, these anti-ICWA forces—led by the adoption industry, religious coalitions, and a conservative think tank—have spent years bringing forth suit after suit in courts throughout the country, sometimes even using identical briefs in different forums, all in the attempt to have ICWA declared unconstitutional. After losing each case, due in part to their outrageous contention that ICWA is a race-based law (it is not), they have finally found a judge in the United States District Court for the Northern District of Texas sympathetic to their arguments. While they choose to ignore thousands of testimonials from Native families who assert that those who will be most hurt by this decisions are our most sacred and vulnerable children, the Partnership for Native Children stands with Indian Country and affirms that we will continue to fight for them. We support legal efforts to appeal this unprecedented decision. We will work tirelessly to demand the media cover these issues thoroughly and responsibly. And we will work closely with those children, families, and tribes who want their perspectives finally included in the national dialogue about the best interests of our children. Their voices have been ignored for far too long. The Partnership for Native Children refuses to go back to those the days where tribal children were removed simply because of cultural misunderstandings, for financial gain, and due to pure prejudice. We also refuse to let extremist groups use our children as a tool to undermine the foundations of Indian law and tribal sovereignty. Here is our press release.